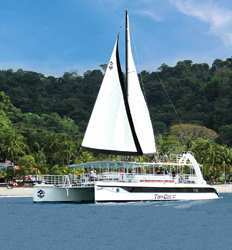 The Northwest Pacific is one of Costa Rica's most celebrated diving and snorkeling areas. Playas del Coco, and the Bat and Catalina Islands are thrilling places to swim with large marine creatures such as whales, eagle rays and sea turtles. While most dive sites are also good for snorkeling, the best places for shallow water exploration are around the south of Coco, the area that separates the beach from Playa Ocotal. Below is a list of the snorkeling tours that we have in this region, where we offer a variety of different boats for all comfort levels. Enjoy a unique family friendly experience as you snorkel the amazing Northwest Pacific coast of Costa Rica. Here you will have Numerous encounters with many different species, including king angel fish, puffers, surgeon, snapper, barracudas, eels, turtles, rays and reef sharks & much more, and their all just a few minutes from the pier! Join us for a day of sailing, snorkeling, and tons of fun on our Sea Bird Sailing and Snorkeling tour in the Gulf of Papagayo! We can´t wait to show you all the spots we love to go snorkeling, and with the crew of the Sea Bird sailboat the journey really is half the fun! We love sailing, and you´ll love sailing too by the time we get done with you! 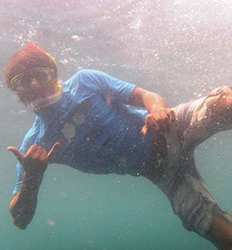 Sea Bird Sailing & Snorkeling Excursion deposit is $10.00 per Adult and $5.00 per Child. This tour departs Monday through Thursday at 8:30 AM. 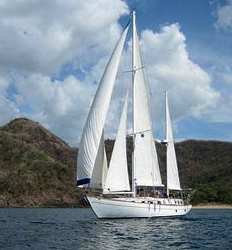 Join us for a calm and beautiful morning sail aboard the Kuna Vela in the beautiful Gulf of Papagayo. Sure to make memories that will last a lifetime, our Kuna Vela Sailing and Snorkel tour in Papagayo is a "must do activity in Costa Rica". 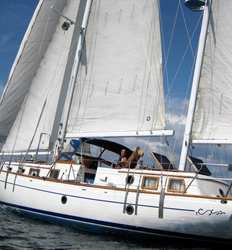 Space on the Kuna Vela Sailboat is limited to a maximum of 15 guests, so don´t miss out! Nothing says “vacation time! 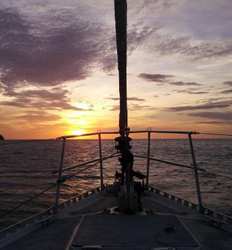 !” quite like being on a sail boat in the Gulf of Papagayo at sunset and snorkeling on coral reefs with beautiful tropical fish. 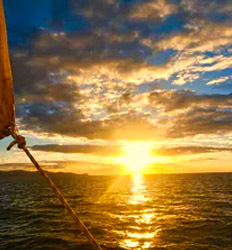 Top that with exceptional customer service and attention to detail that will make you feel like you are a VIP superstar and that brings us to the best sunset boat tour in Papagayo. 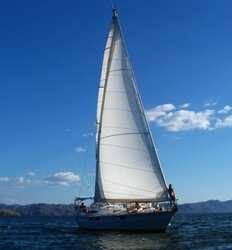 Kuna Vela Sunset Sail and Snorkel deposit is $13.00 per Adult and $6.00 per Child. This tour departs at 2:30 PM. Hop into our air-conditioned van for a fabulous beach hopping experience in the Northwest Pacific coast of Costa Rica! This side is lined with beautiful beaches that will cater to all kinds of beach-lovers-from surfers, to white-sand enthusiasts, nature lovers, avid snorkelers, there will be a spot for every type of beach bum! 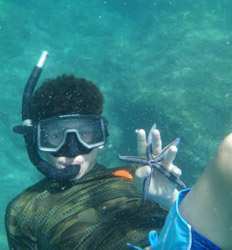 Want to escape the crowds and experience the best snorkeling in Papagayo? The Gulf of Papagayo is literally like an aquarium, filled to capacity with such a variety of marine life you´ll find something new at every turn. Even if you don´t have a lot of experience, this private excursion in Costa Rica is sure to be fun for all! 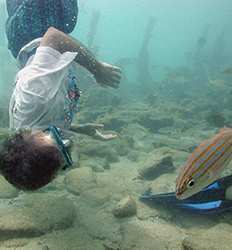 Gulf of Papagayo Private Snorkeling Tour deposit is $50.00 per Trip and $10.00 per each additional child. Sea Bird is a luxury sailboat in the Gulf of Papagayo with all the comforts of home, and a crew that will make your day on the water in Costa Rica a truly memorable experience. Our private sailing charter in the Golf of Papagayo is family owned and operated, so you know you will get a truly authentic experience with attention to your every need. The price is for up to 5 passengers, you can add up to 19 additional people for an extra cost. Dreaming of a romantic sunset sail for two? Looking for a great day of family bonding with lasting memories? Want to organize something fun for the wedding party who has traveled so far for your Costa Rica destination wedding? Look no further!! This tour is for "Sunset Tour", for more options see details. Having a family reunion in Costa Rica? Celebrating any special occasion in the Gulf of Papagayo aboard our 60' sailing catamaran is guaranteed to be a memorable occasion for everyone. With attention to detail and service second to none, you cannot go wrong booking your Private Catamaran Sailing Charter with The Real Deal Tours. This tour is "Half Day", for more options see details.